Feel-Safe EM-46 Hat Spy Camera DVR 8GB Memory Built-in. 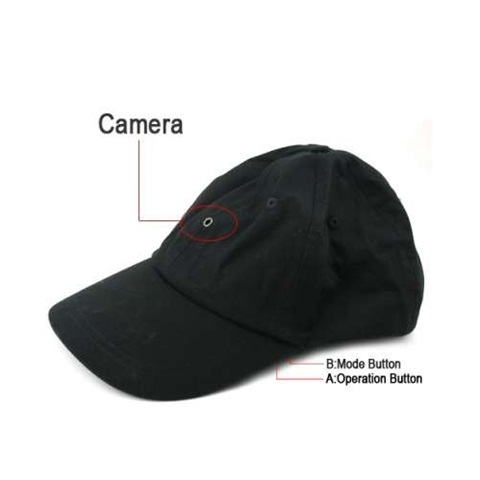 New Baseball Cap Hat Camera DVR Mini Camcorder Recorder Outdoor hiking shooting landscapes. Applicable in Outdoor settlings like mountaineering, hiking shooting landscapes. New and Improved. Its tiny pinhole camera shoots up to 30 fps at 1280 x 960 resolution. Transferring files is a breeze. Just use the included USB cable to connect the unit to your computer. The hat cam is ideal for professional surveillance, but it'll also be great on your next vacation.